Welcome to Tidewater Community College! The faculty and staff at TCC are committed to helping you reach your fullest potential. This Student Handbook is designed to assist you with your personal, professional, and academic success during your time at TCC. Specifically, the Student Handbook provides you with general College information; an overview of College resources that are available to you; important College policies for both inside and outside the classroom, including important Financial Aid policies; information on how to connect with other students through student activities, clubs, and organizations; and your responsibilities as a student. As you begin your educational journey and academic career at TCC, we encourage you to take full advantage of the opportunities around you. Becoming familiar with the Student Handbook is one step that you can take to help ensure your success. Tidewater Community College provides collegiate education and training to adults of all ages and backgrounds, helping them achieve their individual goals and contribute as citizens and workers to the vitality of an increasingly global community. Open access to high-quality, affordable education to prepare students to transfer to a four-year baccalaureate institute, as well as for entry or advancement in the workforce. Cultural diversity as a critically important strength for students to meet the changing needs of a pluralistic, democratic society. Lifelong learning to heighten the awareness of students to multiple paths for achievement while helping them pursue the choices most conductive to their individual needs. Partnerships and proactive responsiveness to develop cutting-edge programs that meet the changing needs of students and industry, while contributing to the economic, civic, and cultural vitality of the region, the Commonwealth, the nation, and the international community. A comprehensive range of programs and services recognized for excellence by leaders of business, industry, and government, and by educators in K-12 education and four-year colleges and universities. Tidewater Community College is vital to the regional economy and is the most affordable, convenient, and innovative provider of high-quality higher education and career training. Tidewater Community College is accredited by the Southern Association of College and Schools Commission on Colleges to award the associate degree. Contact the Commission on Colleges at 1866 Southern Lane, Decatur, Georgia 30033-4097 or call 404-679-4500 for questions about the accreditation of Tidewater Community College. Apply for admission to TCC online. Personnel in the Admissions Office provide assistance to students who are seeking admission to Tidewater Community College. Admission staff also advise students who are interested in taking courses while still in high school as part of the Dual Enrollment program and or under the Exceptions to the General Policy. All applicants to the college who are claiming entitlement to Virginia in-state tuition rates must complete the domicile section of the application for admission. Section 23-7.4 of the Code of Virginia governs eligibility for in-state tuition. For a complete description of the most current guidelines, students should visit the State Council of Higher Education for Virginia’s website. The college determines the student’s eligibility for in-state tuition rates based on information supplied on the application for admission. The process of determining eligibility involves two central concepts: domicile and dependency. The Code of Virginia specifies several ways that a student may be eligible for in-state tuition rates. Students are eligible if they are domiciliary residents of Virginia or if they qualify under one of the exception provisions, including an exception for military spouses and dependents. Veterans, military members, military spouses, and military dependents should review the State Council's website for the most current information regarding the establishment of Virginia domicile and the provisions for in-state tuition rates. If students enter TCC as out-of-state students but later meet the requirements to have a Virginia domiciliary, they may apply for domicile reclassification. To do so, students should submit a Domicile Reclassification Form, available from any campus Enrollment office, to any Enrollment office for a ruling. Testing Centers offer comprehensive testing, including placement testing, online proctored testing, testing with special accommodations, and other specialized testing. To apply for financial aid, you must complete the online Free Application for Federal Student Aid (FAFSA). To determine if you qualify for sources of financial aid, review the eligibility criteria. TCC’s FATV videos offer more information about applying for and understanding financial aid. Review the steps to pay for college with financial aid. There are several types of financial aid available to students, including employment with Federal Work-Study Program (FWS), grants, loans, scholarships, and special tuition financial assistance for military and dependents. If you served on active duty, you might be eligible for education benefits offered by the Department of Veterans Affairs. For example, the Post-9/11 GI Bill® provides financial support for educational and housing expenses to individuals with at least 90 days of aggregate service after September 10, 2001, or individuals discharged with a service- connected disability after 30 days. You must have received an honorable discharge to be eligible for the Post-9/11 GI Bill®. Under federal regulations students can receive financial aid only for courses that apply toward their declared degree or certificate program. FACA is a system that allows TCC to inform you shortly after you register whether any of your course selections are ineligible for financial aid. Learn how to make the most of your financial aid. Once financial aid has been awarded, the student must maintain eligibility and understand their responsibilities as outlined on the Financial Aid Student Responsibilities web page. Federal regulations require that a student receiving federal financial aid make satisfactory academic progress (SAP) in accordance with the standards set by the College and the federal government as outlined on the Standards of Satisfactory Academic Progress webpage. Students who do not meet the credit progression requirements (Quantitative or Pace of Completion) and/or cumulative grade point average requirements (Qualitative) will be considered to not be meeting satisfactory academic progress. Under certain circumstances, students who fail to meet SAP standards and lose eligibility for financial aid can appeal the financial aid suspension. Students must clearly state what caused the suspension and must also clearly indicate what has changed that will now allow the student to succeed. Questions regarding the Satisfactory Academic Progress standards should be directed to the campus Financial Aid Office. Payment of tuition and fees must be made in full by the close of business on the published payment due date for each respective semester. View current tuition and fee rates and payment deadlines. Students are encouraged to visit the payment options web page for more information about each method of payment, as well as applicable forms and procedures. Students using or planning to use military-related benefits whether GI Bill® or military branch specific Tuition Assistance (TA), are required to contact the Center for Military and Veterans Education (CMVE) at any of the 4 main campuses. Those choosing to use TA may contact either campus CMVE/VA offices or visit one of the convenient TCC’s CMVE/VA Affairs Base Representatives on Norfolk Naval Base, Naval Medical Center Portsmouth, Naval Air Station Oceana, or Joint Expeditionary Base Little Creek. Currently enrolled students may purchase HRT GoSemester Pass at a reduced cost by presenting a current TCC ID at any campus Business Office. The Counseling and Advising Offices offer a variety of services for students seeking to develop education plans, achieve academic goals, continue their education at a four-year college or university, prepare for immediate entry into the job market, or to develop skills for career advancement or personal growth. Counseling and advising staff assist students in exploring their interests and identifying career and life goals. They can help students address and explore personal and academic issues related to career indecision, academic difficulty, test-taking, time management, and other obstacles that may hinder the academic and personal success of students. Military affiliated students should contact their campus Center for Military and Veterans Education (CMVE). Transfer planning is encouraged beginning with your first semester through graduation. Counselors and advisors are available on each campus to assist students who plan to transfer to another college. Counselors and advisors provide students with transfer information about Virginia’s 4-year and out-of-state institutions, that include applications, transfer guides, and catalogs. The Virginia Community College System (VCCS) has created a webpage showing all system-wide Guaranteed Admission Agreements. The Office of International Student Services provides comprehensive support services to help facilitate the academic success of all international and non-immigrant students at TCC. ISS staff assists with the admission of these students and serves as the primary source of information regarding their immigration rights and responsibilities. ISS strives to foster an environment of international awareness and an appreciation of all cultures by promoting interactions between American and international students through exchange programs, study abroad, and various intercultural programs and events. The Intercultural Learning Center (ILC) cultivates and sustains a learning environment that provides TCC students, faculty, and staff with the knowledge, skills, and attitudes necessary to be aware, understand, and appreciate the interconnectedness of the social and cultural dimensions within and across local, regional, state, national, and global communities. The ILC provides a comprehensive calendar of co-curricular cultural and intercultural programs, study abroad and exchange programs, and encompasses the services of the Women’s Center and International Student Services. The TCC Center for Military and Veteran Education (CMVE) was established in 2011 to broaden TCC’s already extensive service to military-related students, including active duty, reserves, National Guard, Coast Guard, veterans, military family members and Department of Defense employees. Based in the Kempsville Building at the Virginia Beach Campus, the CMVE is a college-wide function providing academic counseling & advising, academic & student support services, and military contract education and training, to military-related TCC students, no matter where they are located. Under the CMVE, TCC provides Veterans Affairs advisors at all four of the college’s campuses as well as academic and student support services at each of the major military installations in South Hampton Roads, including Naval Station Norfolk, Naval Air Station Oceana/Dam Neck, Naval Medical Center Portsmouth, and Joint Expeditionary Base—Little Creek-Fort Story. Base contact information can be found here. TCC complies with the Principles of Excellence as established by Executive Order 13607 of April 27, 2012. Vet Success On Campus (VSOC) counselors can help you with career counseling, academic advising, impact of disabilities related counseling, VA benefit counseling, referral to resources, employment etc. For further information and campus contacts, visit the CMVE’s website. The Career Services Center offers a comprehensive program to help students develop, evaluate, and implement a career plan. This approach helps students become aware of their interests, skills, values, and lifestyle preferences and relate them to a career decision. Career assessment testing is available to help students explore personal interests and talents, clarify career values, and explore and gather occupational information. Resources are available to direct students to accurate, up-to-date information about future job outlooks and salaries. Each campus offers individual career counseling and seminars, workshops, and short courses on career-related topics. The Office of Career and Employment Services offers the Career Success Network, a website designed to assist students and graduates in finding employment. Job listings are received from various employers (local companies, federal government, state and city agencies and many more), and posted online. The college also provides additional services such as on campus recruitment by local employers and assistance with résumé writing and interviewing skills. Enrollment services staff are available to assist students with course registration, course withdrawal, transcript requests, student records, and updating admissions applications. Enrollment Services staff also process grade changes, student verifications and certifications, cross registration grades, and student data changes. A student must notify the college immediately when his/her name, address, telephone number, or other personal information changes by completing a Student Data Change Form and submitting it to any campus Enrollment Services Office. In some instances, students may make changes by logging into myTCC. The Office of the College Registrar performs transfer evaluations, processes approved course substitutions and waiver requests, reviews applications for graduations, and processes official transcript requests. Students who register for one or more credits must obtain a TCC student ID card. The first card is issued free of charge: students must pay a $10 replacement fee for any lost or stolen cards. Student ID cards may be obtained within 24 to 48 hours of a student’s registration at a campus ID Card Office. Students can go to any ID Card Office to have their picture taken and their card printed. All students must show a photo ID to receive a TCC student ID card. An ID card cannot be issued without proof of identity. All students must display their TCC student ID card on their person (e.g. by suspending it from a lanyard worn around the neck) at all times while on college property or attending a college-sponsored event. To this end, the college shall provide an appropriate lanyard with clear plastic cardholder free of charge to each ID card recipient. In the event that a student does not have their TCC student ID card displayed (or with them), the college representative making the inquiry will report the matter to Security and the individual will be escorted to the Dean of Students or the Provost. Read Policy 1302 - College Identification Cards for more information. Students may use their ID cards as a form of payment at various locations throughout the college, including: Barnes & Noble at TCC, The Campus Cup, The Campus Cafe, Child Care, vending, and printing. Visit the StormCard page for details on how to make deposits. The Open Door Project is a federally funded Student Support Services/TRIO program that provides academic support and personal services to eligible students at the Norfolk and Portsmouth campuses. The goal of the project is to help participants improve their academic performance, stay in college, graduate from TCC and transfer to a four-year college or university. The Open Door Project Office can be reached at 757-822-1218. The Women’s Center offers comprehensive specialized services to educate, empower, enhance, and engage women so they can define, pursue, and achieve their academic, professional, and personal goals. The Women’s Center is a leader and resource on women’s unique interests and is committed to advocating for equality and social justice. The Women’s Centers provide a safe environment and create a campus culture for women and men to exchange ideas, network, and advocate for these goals. Student Development (SDV) courses assist students in their transition to college. SDV courses provide essential information about TCC's resources and programs, as well as strategies for the development of academic and personal success. Instructors encourage engagement and integration into college life promoting student persistence. All curricular students, except those in career studies certificate programs, are required to enroll in SDV 100, 101, or 108 within the first 15 credit hours of enrollment. Students placed in at least one developmental education course should take the SDV course in their first semester of enrollment. The requirement may be waived for students who hold an Associate Degree or Bachelor’s Degree from a regionally accredited institution. Other requests for a waiver may be considered on a case-by-case basis. Students who do not enroll in an SDV course within the first 15 credits hours will have a hold placed on their record preventing them from enrolling in other courses until they meet with a counselor/advisor. Tidewater Community College is committed to the concept of academic freedom as presented in the American Association of University Professors (AAUP) policy statement. Membership in the academic community imposes on students, faculty members, administrators, and trustees an obligation to respect the dignity of others, to acknowledge their right to express differing opinions, and to foster and defend intellectual honesty, freedom of inquiry and instruction, and free expression on and off the campus (AAUP Policy Documents & Reports, 1990 edition, 77). Freedom to teach and freedom to learn are inseparable facets of academic freedom. The freedom to learn depends upon appropriate opportunities and conditions in the classroom, on the campus, and in the larger community. Students should exercise their freedom with responsibility. The responsibility to secure and to respect general conditions conducive to the freedom to learn is shared by all members of the academic community (AAUP Policy Documents & Reports, 1990 edition, 153). Students should be free to take reasoned exception to the data or views offered in any course of study and to reserve judgment about matters of opinion, but they are responsible for learning the content of any course of study in which they are enrolled. Students should have protection through orderly procedures against prejudiced or capricious academic evaluation. At the same time, they are responsible for maintaining standards of academic performance established for each course in which they are enrolled (AAUP Policy Documents & Reports, 1990 edition, 154). If a problem arises concerning class content and/or procedures, it is appropriate for the student to discuss the problem with the faculty member before seeking help from an administrator. If the student feels he/she has been injured by an infringement of academic freedom, the Student Grievance Procedure provides an avenue for resolution. The purpose of the Student Grievance Procedure is to provide an equitable and orderly process to resolve grievances, other than appeals of final grades, by students at Tidewater Community College. To audit courses (attend classes without taking examinations or receiving credits), students must obtain permission from the appropriate academic deans or designees on the campuses where the courses are taught. Students must then register and pay full tuition. To change the status of courses from audit to credit, or from credit to audit, students must complete the changes by the deadline to add courses during the term’s regular session (i.e. 16-week sessions in the fall and spring semesters and 10-week session during the summer term). Audited courses do not carry credits and are not counted as part of the academic load when full-time or part-time status is reported to the Financial Aid Office or to external parties such as the Social Security Administration, an employer, health insurance carrier, the Immigration and Naturalization Service, or the Department of Veterans Affairs. Advanced standing credit will not be awarded for audited courses. SAILS Early Alert promotes student success through faculty referral of students experiencing academic challenges and connecting students with supportive resources to achieve their academic and life goals. Students who return to the college after a separation of five years or more (i.e., 60 months or greater) may petition for academic renewal by submitting the Academic Renewal Petition Form to Enrollment Services. If students meet eligibility requirements for academic renewal, D and F grades earned prior to re-enrollment may not be calculated into the cumulative and curricula GPAs, subject to specific conditions as outlined in the policy. Note: The Department of Veterans Affairs (DVA) does not acknowledge TCC’s Academic Renewal Policy. DVA will not pay for a student to take a class that has been previously attempted and passed with a passing grade; even if benefits were not used for the initial class. Contact the Center for Military and Veterans Education for more information. Students who are considered to be in “good academic standing” if they maintain semester minimum GPAs of 2.00, are eligible to re-enroll at the college and are not on academic suspension or dismissal status. Students who fail to attain minimum GPAs of 2.00 for any semester shall be placed on academic warning. Students on academic warning should consult with counselors or academic advisors and take advantage of academic support services provided by the college. Students who fail to maintain cumulative GPAs of 1.50 after attempting 12 or more semester credits shall be on academic probation until after their cumulative averages are 1.75 or better. The statement “Academic Probation” will appear on the students’ permanent records. Students on academic probation are ineligible for appointive or elective offices in student organizations unless special permission is granted by the campus Dean of Student Services. Students must consult counselors or academic advisors before registering and usually are required to carry reduced course loads the next semester. Note: Although cumulative GPAs between 1.5 and 1.99 may not result in formal academic probation, students must earn a minimum of 2.0 in their curricula to receive associate degrees or certificates. Students on academic probation who fail to earn minimum semester GPAs of 1.50 shall be placed on suspension only after they have attempted 24 semester credits. The statement “Academic Suspension” will appear on the students’ permanent records. Academic suspension shall be for one semester. Suspended students may appeal and be reinstated at the conclusion of the suspension period by submitting Applications for Readmission available online or from campus Counseling/Advising Offices. Readmission applications should be submitted to Advising and Counseling for review. Students who do not attain at least 2.00 GPAs for the semester of reinstatement following academic suspension shall be academically dismissed. Students who achieve at least 2.00 GPAs for the semester of their reinstatement following academic suspension must earn at least 1.75 GPAs in all subsequent semesters of enrollment. Failure to attain 1.75 GPAs in each subsequent semester until the cumulative GPAs reach 1.75 shall result in academic dismissal. The statement “Academic Dismissal” will appear on the permanent records of students. Academic dismissal is normally permanent. In exceptional circumstances, students may appeal and be reinstated by submitting Applications for Readmission available online or from campus Enrollment Services. Readmission applications should be submitted to Advising and Counseling for review. For more information about Academic Standing, refer to the TCC Catalog. Students should be present and on time for all scheduled class and laboratory meetings. Instructors do not have to admit students who arrive late. If students add classes or register after the first day of classes, the students are counted absent from all class meetings missed. If students are absent more that 15 percent of scheduled instructional time, attendance may be defined as unsatisfactory. This calculation includes absences occurring during the add/drop period. Instructors may establish more stringent attendance policies, and students are responsible for understanding the attendance requirements for each course in which they are enrolled. When instructors determine student absences constitute unsatisfactory attendance, students may be withdrawn from courses. Students will receive W grades during the first 60 percent of courses. If students are withdrawn after 60 percent of courses, grades of F (or U in the case of developmental courses) will be assigned unless students can document mitigating circumstances. Students who are withdrawn from courses because of unsatisfactory attendance are not eligible for refunds of tuition and fees. The use of cell phones and other communication devices in classrooms, laboratories, and libraries, is prohibited, unless authorized by the appropriate faculty or staff. Communication devices shall not be used during class, nor shall students disrupt a class by leaving to respond to calls or communication. Learning assistance services are offered at all campuses and include tutoring, writing labs, and math labs. Free assistance is offered to students in a variety of academic areas, from math, English, and writing to biology and Spanish. In addition, students at each of the campuses may participate in study skills workshops, supplemental instruction offerings, distance tutoring, and computer-based tutoring services. Faculty members at Tidewater Community College are responsible for assigning course grades and for advising students of the objective criteria on which those grades are assigned. As such, most student disagreements regarding course grades are best resolved informally between the student and faculty member. The Final Course Grade Appeal Procedure provides a fair and orderly process for students who wish to pursue a formal appeal of their final course grade. In taking such action, students shall assume the burden of proof concerning any perceived error in the grade assigned. Further, they shall follow the sequence of steps outlined in this procedure with the presumption that, as a matter of rule, instructors do not assign arbitrary and capricious course grades. Students are encouraged to resolve final course grade disagreements with their instructors on an informal basis. Should the dispute not be resolved at this level, the student may proceed to Step Two. Students shall submit a written appeal to the academic dean under whose division the course was offered no later than ten (10) working days after the first day of classes for the next academic term. Within five (5) working days of receiving the written appeal, the academic dean shall hold a conference with the student and instructor to consider the grade appeal. The dean shall provide a written report of his/her findings to both parties within five (5) working days of the conference. For the record, a copy of the report shall be kept on file in the division office. Should the student wish to advance his/her appeal to the next level, he/she may submit a written appeal to the campus provost within five (5) working days of receipt of the dean’s report. Within five (5) working days of receiving the student’s written appeal of the Step Two findings, the campus provost shall appoint a Grade Appeal Committee to consider the appeal. The committee shall consist of three (3) teaching faculty members and two (2) students who are not directly involved in the case. However, if the grade appeal is related to a student’s disability, the student shall not be required to discuss the disability or any accommodations with a committee that includes students. A student instead may discuss that aspect of the appeal with the Coordinator of Educational Accessibility. The provost shall notify the student, instructor, and academic dean of this action. Within five (5) working days of its appointment, the Grade Appeal Committee shall hold at least one face-to-face meeting with the student and instructor. The committee shall conclude its deliberations within a reasonable time period, submitting a written report of its findings to the provost within five (5) working days of the conclusion of its review. Based on this report, and within five (5) working days of receiving the committee’s report, the provost shall render a written decision on the student’s appeal. The decision shall be shared with the student, faculty member, and dean, as well as with the Grade Appeal Committee. Should the student wish to advance his/her appeal to the next level, he/she may submit a written appeal to the Executive Vice President for Academic and Student Affairs and Chief Academic Officer within five (5) working days of receipt of the provost’s written decision. At Step Four, the Executive Vice President for Academic and Student Affairs and Chief Academic Officer shall consider the student’s final course grade appeal only within the context of assuring that the decision as rendered by the provost was supported by the evidence presented and, as such, was neither arbitrary nor capricious. The Executive Vice President shall issue his/her written ruling, sharing it with the student, faculty member, and provost within five (5) working days of receipt of the appeal. The ruling shall be considered final. The time limitations specified for the Final Course Grade Appeal Procedure are binding on all parties involved, unless they are extended by written mutual agreement. The requirements for graduation are listed below; however, students are strongly encouraged to print out the Advisement Report for their program of study and meet with an academic advisor prior to submitting an Application for Graduation. Consulting with an academic advisor at least a semester in advance of graduation, allows the opportunity of making necessary course adjustments or attending to particular academic concerns in a timely manner. Fulfill all course and credit hour requirements specified in the Tidewater Community College Catalog at the time of your official placement in the curriculum. Subsequent program changes may necessitate course substitutions, but these can only be made with the approval of the appropriate division dean. Earn a minimum of 25 percent of the total semester credits required for the degree, certificate, or career studies certificate at Tidewater Community College. Have a grade point average of at least 2.0 in all courses that are applicable toward graduation in your curriculum. Submit a complete graduation application by the deadlines posted on the TCC website for graduation. Resolve any financial obligations to the College and return all library books and other materials. Be certified by appropriate college officials for graduation. The State Board for Community Colleges encourages the development of a student activities program designed to promote educational and cultural experiences. Student activities are out-of-classroom activities that support the mission of the college and provide students avenues for personal growth and enrichment. Through participation in clubs and organizations, or other planned co-curricular activities, students develop a wide range of abilities, including intellectual, communication, athletic, and leadership skills. Students develop self-confidence, interpersonal skills, and an appreciation for other cultures and lifestyles. Finally, students develop a sense of integrity, purpose, and social responsibility that empowers them to be productive within and beyond the college community. Any recognized religious or political student organization shall be authorized to limit certain activities only to members who are committed to furthering the mission of such organization. Such activities include ordering the organization’s internal affairs, selecting the organization’s leaders and members, defining the organization’s doctrines, and resolving the organization’s disputes. Student ambassadors are Outstanding High School Student Award recipients. The ambassadors are focused on recruitment and retention of students. The purpose and mission of the student ambassadors is to recruit, officially represent and positively serve Tidewater Community College; improve surrounding communities through diversely organized community outreach initiatives and instill leadership, pride and service by educating the College community about TCC. They provide leadership and support for campus events including open house, registration, orientation, and campus tours. TCC student centers create opportunities for students to participate in an array of educational, cultural, and recreational activities. They foster student engagement, leadership development and healthy lifestyle choices through leisure, athletic, and fitness activities. Quality services and resources are offered to initiate a holistic learning environment for all students. Each student center displays unique characteristics and which include dining services, Barnes & Noble, fitness center, gaming lounge, TV room and more. The Office of Educational Accessibility provides students with disabilities programmatic and physical access in compliance with section 504 of the Rehabilitation Act of 1973, as amended, the Americans with Disabilities Act of Amended, of 2008, and the Rehabilitation Act Amendments of the Workforce Investment Act of 1998. It is the student’s responsibility to contact their campus Educational Accessibility Services representative to request an accommodation. Requests for accommodations should be made to the designated campus educational accessibility counselor at least 30 days before classes begin. Documentation must be provided to support the need for accommodations. Guidelines for documentation are available from campus educational accessibility counselors and the online website. **Students who have been hospitalized (for medical or psychiatric reasons) unexpectedly during the semester should contact the Office of Educational Accessibility Counselor for support and connection to college resources. Tidewater Community College does not provide health services, emergency or otherwise. In case of emergency, call 911 or ask others to call 911. Recognizing that comprehensive health care insurance is often vital to one’s efforts to maintain a healthy lifestyle, the college maintains a list of insurance providers for TCC students who desire coverage. International students can obtain health insurance information from the International Student Services office on the Virginia Beach Campus. If students have documented chronic health problems or disabilities that may affect their attendance, learning, or personal safety, they should seek help from a campus Educational Accessibility faculty or staff member who will provide them with a list of appropriate academic accommodations. Instructors will not be informed about a specific disability by Educational Accessibility personnel; it will be the student’s decision and responsibility to inform the instructors. If students decide to talk to instructors about their accommodations, students will be provided with a copy for each instructor at the beginning of the semester. Students should ask for a private meeting to discuss accommodations with instructors. It is not required that students disclose the nature of their disability or chronic health condition to receive academic accommodations. Tidewater Community College’s bookstore is operated by Barnes & Noble. Barnes & Noble at TCC has two full-service locations in MacArthur Center and the Virginia Beach Campus Student Center and distribution stores in the Chesapeake and Portsmouth Campus student centers. For additional information on all stores, visit the bookstore website. Libraries are located on each campus and at the Visual Arts Center. 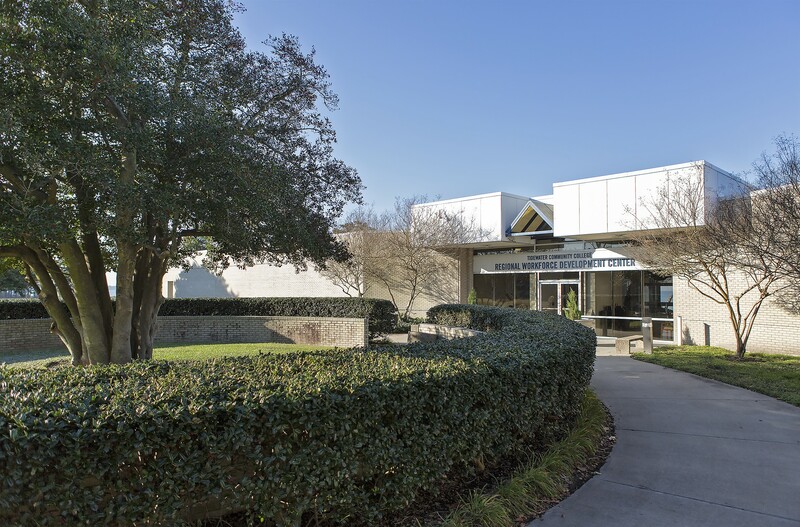 The college’s art collection, including videos and print materials, is located at the Visual Arts Center. The libraries provide access to research materials in both print and online formats to support the courses, curricula, and mission of the college. These materials include books, newspapers, magazines, journals, videos, audiobooks, streaming media and an extensive collection of research databases. Faculty members may place materials on reserve in the Library for their students. The Libraries maintain a website that provides access to the Library catalog, to online research resources, course and topic research guides, and to many of the services the Library provides. Library staff members are available to help students take full advantage of these resources. Help is available onsite, over the phone, via email and through the 24/7 “Ask a Librarian” chat reference service. Students must have a valid TCC ID card in order to check out library materials for home use or to access materials and services in restricted library locations. The normal loan period for library print materials is four weeks. The normal loan period for audiovisual materials is one week. Materials that have been placed on reserve, however, may have a shorter loan period. Items may be renewed once in person, by telephone, or through “My Account” in the online library catalog as long as they are not overdue or requested by someone else. Students are personally responsible for the safety, proper use, and timely return of the library materials that they have borrowed. Students who fail to return library materials shall incur a financial obligation for the unreturned materials and a collection fee in accordance with the policy on Use of Library materials. Library hours of operation are adjusted periodically. Visit the Library website for current hours of operation. Tidewater Community College includes district administrative offices, four campuses, three campus centers and non-campus facilities that include internship, workforce, and military education locations. The college promotes a secure environment by contracting unarmed security staff to provide services to each of the college’s campuses and campus centers. The Virginia State Police have primary police jurisdiction for all TCC campuses. Local police jurisdictions are summoned to report criminal offenses and to provide emergency support. Security for internship, workforce and military locations at non-campus facilities are provided by the organizations responsible for the sites where the classes or training is offered. Criminal incidents or emergencies are to be reported to campus security staff, local police or to the Campus Dean of Student Services. In an emergency, local authorities can be summoned by dialing 911. All members of the college community are required to observe college rules and regulations and to identify themselves when requested by a campus official. Failure to comply with a request of a campus official may result in being removed from the campus. Employees, students and other members of the TCC community shall conduct college operations and activities in compliance with applicable federal, state, and local occupational safety and health regulations, and follow the college’s classroom and occupational safety and health procedures. Students should report personal injuries or emergency illnesses that occur within a classroom to the course instructor. Personal injuries or emergency illnesses that occur outside the classroom should be reported to the Campus Security Office. Dial 911 for emergency medical assistance. Students should report motor vehicle accidents that occur on campus to the Campus Security Office. Statements related to the accident should be made a matter of record. The intent of reporting accidents is to protect you and to secure documentation for insurance purposes. Motor vehicle accidents involving serious property damage or injury should be reported to local police authorities. The Crime Awareness and Campus Security Act of 1990 (also known as the Jeanne Clery Act) requires all colleges and universities to publish an annual security report detailing security policies, programs, and campus crime statistics over the previous three years. The annual security report is posted on the college’s website. TCC promotes a safe environment in which to learn and work by strictly prohibiting threats or acts of violence by or against members of the college community. The Campus and Workplace Violence Prevention policy designates a committee responsible for coordinating the college’s violence prevention efforts. The policy also creates a Threat Assessment Team responsible for implementing the college’s assessment, intervention, and action protocol in individual cases. To the extent allowed by law, regulation and the Virginia Community College System policy, weapons are prohibited in college buildings and at college-sponsored events. The college community is subject to federal, state, and local criminal laws. A single act may constitute a violation of federal law, state law, city ordinance, and college regulations. The double jeopardy provision of the federal constitution is not applicable. College policy is to encourage the person harmed to state the facts to the appropriate agency’s investigators as promptly and accurately as possible. The student, not the college, determines whether or not a criminal prosecution is pursued unless college property or personnel is involved. The college will pursue a student disciplinary remedy. Campus security education programs are conducted as part of student and faculty orientation and are a part of the college’s on-going efforts to encourage civil behavior. Educational programs are held on a regular basis to promote awareness. All posted and distributed traffic, parking, and speed limit regulations are to be observed by all students, faculty, staff, and visitors. The college assumes no responsibility for the care or protection of any vehicle or its contents at any time it is operated or parked on the campus. Automobiles should be locked at all times. What to do if you are a victim of sexual assault: After a sexual assault, the victim should try to be as calm as possible. Getting to a safe place and calling for help promptly are extremely important. If the sexual assault occurs on campus, immediately contact Security, the Women’s Center, the Campus Dean of Student Services, or a counselor. You can also call the police, a friend, and/or a community sexual assault support program. Preserving evidence of a sexual assault is important whether or not the victim plans to file a police report immediately, at a later date, or is undecided. Leave the crime scene exactly as it is, not touching anything, cleaning up, or throwing anything away. A sexual assault survivor should not change, wash, or destroy any clothing or wash any part of their body, externally or internally, and should be encouraged to seek medical attention at an area hospital emergency room. Stalking is the willful, malicious, and repeated harassing of an individual by another person including but not limited to: following the individual, showing up at her or his home or workplace, sending unwanted messages (including e-mail) or objects, vandalizing property, or making harassing telephone calls. Stalking is conduct directed at a specific person that would cause a reasonable person to fear for their safety. Do not ignore stalking. Notify security or police of your concerns. Domestic violence is a crime of violence committed by a current or former spouse or intimate partner of a victim who share a child in common or is or were cohabitating. Dating violence is a crime of violence committed by a person who is or has been in a social, romantic, or intimate relationship with a victim. Victims of domestic or dating violence are encouraged to report incidents to local police, to seek restraining orders, and to seek assistance for counseling and safety information. More information about TCC's Title IX resources. All campuses have a fire alarm system. In the event of a fire alarm, everyone MUST evacuate the building. Each academic space has an evacuation map posted to assist with directions to the nearest building exit. Fire extinguishers are strategically placed for use against minor fires. In case of a fire, administrators, faculty, staff or students should pull the alarm and notify Campus Security to advise of the fire’s location. When you evacuate the building, move to the designated Emergency Assembly Area, wait for your instructor or other college official to complete accountability and determine when to reenter the building. During certain emergencies you will be directed to shelter-in-place. This means it is not safe to move outside the building, or may not be safe to move within the building, depending on the emergency. When a shelter in place alert is received you will be directed to either stay where you are, or move to an Internal Assembly Area which is a designated area within the building that provides more protection from a wind event such as a tornado. If you are outdoors when a shelter-in-place alert is received for a tornado move to the closest building’s Internal Assembly Area. TCC Alerts is an opt-in emergency notification system that allows Tidewater Community College to contact you during an emergency. You will only receive TCC Alerts if you have registered to receive urgent text messages to your wireless device and/or e-mail account. It’s your personal connection to real-time updates during the event of an emergency. You’ll find out where to go, what to do, what to avoid, whom to contact, and other important information. TCC Alerts is a free service offered by Tidewater Community College. Your wireless carrier may charge you a fee to receive messages on your wireless device. TCC Alerts will be used to communicate campus or college wide delays or closures for inclement weather. Students will be referred to their class syllabus for information on course expectations, which may include but not limited to blackboard communications with instructor, online meeting, or other assignments to keep course work on schedule. Following the TCC Alerts, TCC’s website and official social media accounts will be used to provide additional communications as needed. SIS allows students to view enrollment, tuition charges, financial aid, refund status, registration holds, priority enrollment appointments, to do lists, email, grades, access to change passwords and pay tuition and more. The system that maintains information within Tidewater Community College’s purview, including student record data, student life data, and all other data that pertains to, or supports the administration of the college. Learn more about accessing SIS here. All students admitted to TCC are automatically assigned a student email account provided through the Virginia Community College System (VCCS). College issued e-mail accounts will be used as the official means of communication with students. Students should check their VCCS e-mail accounts on a daily basis. New student email accounts are activated within 15 minutes of the application being processed. Students needing assistance accessing their email account should contact the TCC Information Center by calling 757-822-1122 or emailing info@tcc.edu. All Blackboard (Bb) students are required to use the VCCS address as their official email address in Blackboard. Students may elect to forward mail (at their own risk) from their official VCCS email account to another (student-selected) email system. Students who use the electronic mail services are subject to the Information Technology Student/Patron Ethics Agreement of the Virginia Community College System. User accounts will be become inactive after two semesters of no enrollment with the college. Blackboard is an online application that provides students and instructors a set of tools to post class materials online and easily communicate with each other. Students can access the TCC Blackboard website from anywhere they have Internet access. The Virginia Education Wizard can help you choose a career, get the information you need to pursue your career, find the college that is right for you, pay for college, transfer from a community college to a university, and get answers to your questions about your future. Visit the Virginia Education Wizard. As part of its mission the college provides access to information technology (IT) resources to enhance the educational experience of its students. Students and other users of these resources must understand and agree to abide by all applicable Commonwealth of Virginia (COV), Federal, Virginia Community College System (VCCS), and college policies, procedures and standards that relate to the security and acceptable use of college computers, network and Internet access, information technology applications, data, and other IT resources. Students must follow all the security procedures of the VCCS computer systems and protect the data contained therein. Students should not knowingly disclose or permit another individual to use his/her password to myTCC, the Student Information System, Blackboard Learning Management System, Gmail electronic mail, or network services. Students shall not use any password or other access mechanism that TCC has not expressly assigned to them. Students should treat all information maintained on the VCCS computer systems as strictly confidential and should not release information to any unauthorized person. Attempting to gain unauthorized access to computing resources of other institutions, organizations, individuals, etc. Students should use the college wireless network to connect personal computers to the Internet. Students may not plug a personal computer into any fixed network access port. Computer software, databases, and electronic documents are protected by copyright law. Students and other users of college computers are responsible for understanding how copyright law applies to their electronic transactions. They may not violate the copyright protection of any information, software, or data with which they come into contact through the college computing resources. Downloading or distributing copyrighted materials such as documents, movies, music, etc. without the permission of the rightful owner is considered copyright infringement and is illegal under federal copyright law. Use of the college’s network resources to commit acts of copyright infringement may be subject to prosecution and disciplinary action. Students must follow any special rules that are posted or communicated to them by responsible staff members, whenever they use the college computing laboratories, classrooms, and computers in the Learning Resource Centers. They shall do nothing intentionally that degrades or disrupts the computer systems or interferes with systems and equipment that support the work of others. Problems with college computing resources should be reported to the staff in charge or to the Information Technology Help Desk. Priority use of TCC computers is reserved for members of the TCC community engaged in education-related activities. Staff may request someone who is not using a computer for education-related activities to surrender the computer for use by a member of the college community engaged in education-related activities. Students have the responsibility to read and abide by the above provisions, even if they do not agree with them. If a student has any questions about the VCCS Information Technology Acceptable Use Agreement, the student should contact the campus Dean of Student Services or the college Information Technology Help Desk. Violating college policy regarding acceptable use of information technology is a serious offense that will result in disciplinary action as well as possible prosecution under federal and state law. For information regarding the current dates of holiday breaks, please visit TCC’s academic calendar. TCC is committed to the interrelatedness of leadership and service. All students have the capacity to exercise leadership skills and engage with their campus, community, and the global world. Our events, activities, programs and services are intentionally designed to equip students with the skills needed to prepare them for active citizenship. Through the various programs, services, and leadership activities, students cultivate a personal philosophy to make a positive change within the college, their community, and global society. TCC actively engages students in extraordinary experiences that prepare them for a life dedicated to high levels of service and leadership. There are numerous student clubs and organizations that may contribute to the educational, social, community, and/or physical improvement of Tidewater Community College and/or the larger community. Student organizations must be academic, educational and/or service-oriented, and all full-time and part-time students are eligible to participate. No public institution of higher education that has granted recognition of and access to any student organization or group shall discriminate against any such student organization or group that exercises its rights pursuant to subdivision 1. Phi Theta Kappa (PTK) recognizes and encourages scholarship among associate degree students. The organization provides opportunities for the development of leadership and service, for an intellectual climate to exchange ideas and ideals, for lively fellowship for scholars, and for stimulation of interest in continuing academic excellence. Each campus maintains a chapter of Phi Theta Kappa, the International Honor Society of the Two-Year College. Interested students should contact their campus student activities office or visit Phi Theta Kappa's website for further information. TCC provides the Student Government Association (SGA) to establish channels of student-faculty-administration communication, to develop campus and college activities, to encourage participation in campus and college life, to develop student responsibilities within the institution and community, and to protect individual student and group freedoms in academic and social areas. Tidewater Community College values each individual’s privacy and actively seeks to preserve the privacy rights of those who share information with the college. The trust of the college’s constituents is important to TCC, and those constituents have the right to know how information submitted to the college is generally handled. The following privacy notice is provided to define TCC's information policy and practices, and to assist the college’s constituents in protecting their privacy. TCC has adopted the following privacy policies and practices for any and all parts of the college where Personal Information (PI) in any format is created, received, maintained, and transmitted. However, in legal terms, this notice shall not be construed as a contractual promise, and the college reserves the right to amend its policies at any time without notice. Privacy and public records obligations of the college are governed by applicable Virginia and federal laws and regulations. 7. Other number or information that can be used to access a person's financial resources. As a general rule, TCC maintains various types of records for individuals based upon their association with the college. TCC also aggregates information for resource management and planning purposes. TCC reserves the right to use information details about individuals to investigate its resource management or security concerns. Personal Information is used to accurately compile, store, and retrieve an individual's records; to place and track individuals appropriately for academic purposes, and to award academic degrees and honors; to properly employ individuals and compensate them for their work; to correctly diagnose and medically treat individuals; to respond appropriately (or in a personalized format) to individuals' requests for services; and to improve the college's services and products. Under The Virginia Freedom of Information Act (FOIA), most records in the college’s possession are subject to inspection by or disclosure to members of the public upon their request. Information must be retained according to applicable federal and state laws, and must be available for inspection, unless otherwise exempt from FOIA. TCC uses the PI provided by a constituent placing a request for service only to complete that order or request. The college does not share this information with outside parties, except to the extent necessary to complete that order or request. TCC generally uses return addresses, telephone numbers, and e-mail addresses only to answer the communications received by the college. Such addresses are generally not used for any other purpose and by college and state policy are not shared with outside parties, except in accordance with FOIA. Finally, TCC does not use or share the PI provided to the college in ways unrelated to the purpose described without a clear notice in advance and without also providing the constituent an opportunity to opt-out or otherwise prohibit such unrelated uses. Except where otherwise provided by TCC policies and procedures for college employees, there is no legal requirement for a constituent to provide any information to TCC. However, most of the college’s services and products will not be available without the essential relevant information being provided by the constituent. TCC is committed to preventing unauthorized information access, maintaining information accuracy, and ensuring the appropriate use of information. The college strives to put in place appropriate physical, electronic, and managerial safeguards to secure the information it collects in all formats: on paper, electronically, and verbally. These security practices are consistent with the college’s policies and with the laws and regulatory practices of the Commonwealth of Virginia and multiple federal agencies. Should you have other questions or concerns about these privacy policies and practices, please contact TCC’s College Privacy Officer at 757-822-1298. You may send written correspondence to the College Privacy Officer by e-mail at privacy@tcc.edu or by letter addressed to: College Privacy Officer, c/o Office of the President, 121 College Place, Norfolk, VA 23510. The reputation of the college and the community depends in large part upon the behavior of its students. Students enrolled at the college are expected to conduct themselves in a mature, dignified, and honorable manner. Students are subject to College jurisdiction while enrolled at the college. Equally, Tidewater Community College is also committed to academic integrity in all its practices. The college values intellectual integrity and a high standard of academic conduct. Students at Tidewater Community College are expected to uphold expectations outlined in the college’s Student Discipline policy and the Code of Student Rights and Responsibilities. View detailed information regarding student rights, expectations, College policy, and the judicial process and Code of Student Rights and Responsibilities. Tidewater Community College students or employees shall not possess, sell, use, manufacture, give away, or otherwise distribute illegal substances including drugs or, where prohibited, alcohol while on campus, attending a college sponsored off-campus event, or while serving as a representative of the college at an off-campus meeting, event, or other function. Students or employees who violate this policy shall have college charges processed against them in the normal manner of due process provided by college rules. Further, students or employees who violate this policy shall have committed a criminal offense, and the college shall notify the appropriate agency of the Commonwealth of Virginia or city government for investigation and, if warranted, prosecution. It is the responsibility of every member of the college community to know the risks associated with substance use and abuse. This responsibility obligates students and employees to be aware of relevant college policies and federal, state, and local laws, and to conduct themselves in accordance with these laws and policies. To these ends, TCC’s Policy 1103 (Alcohol and Other Drugs) publishes information regarding college policies and sanctions, laws and penalties concerning substance use and abuse, health and behavioral risks of drug abuse, and resources for substance abuse issues. Tidewater Community College property is primarily dedicated to academic, student life, and administrative functions. But it also represents the “marketplace of ideas,” and especially for students, many areas of campus represent a public forum for speech and other expressive activities. The college may place restrictions on expressive activities occurring indoors, but especially for students and student organizations, the outdoor areas of campus remain venues for free expression, including speeches, demonstrations, and the distribution of literature. Door-to-door activities, such as solicitation and distribution of literature, are prohibited in college buildings. The college’s policy regarding solicitation and distribution outside college buildings are provided in TCC’s expressive activity policy. Smoking or inhaling any substance, by any method, including but not limited to tobacco products, e-cigarettes, and aromatic smoking products, such as clove cigarettes, herbal cigarettes, etc., and using/consuming any type of tobacco products, including but not limited to chewing tobacco and snuff, is prohibited inside all college-owned and managed facilities including parking garages, covered walkways, temporary enclosed structures, trailers, and tents as well as structures placed on college property by contractors and vendors. TCC shall provide a reasonable, prompt, orderly, and fairly administered resolution of complaints by an active student for improper, unfair, arbitrary, or discriminatory treatment by TCC employees, or employees under contract to TCC. The 1990 Federal Student Right to Know Act requires colleges and universities to report to prospective and current students the persistence and graduation rates of full-time technical certificate and associate degree-seeking students. The graduation rate is based upon program completion within 150% of the time usually required to complete the certificate or degree for a full-time student.